I’ve been writing quarterly reports to update those who follow my work for more than 20 years. Since 2003, when Carole launched MichaelSantos.net, we’ve published the quarterly reports on the Web site. I hope that readers find them useful as a source of documentation. The reports should reflect how an individual can use goals to power through a long stint through prison. As I was running this morning I thought about all the quarterly reports I’ve written, and the ones I still have remaining to write. If the Bureau of Prisons’ sentence computation is accurate, I’m scheduled to serve 40 more months. That means I’ll write 10 more quarterly reports before release. I can manage. This step-by-step approach to release requires that I make some adjustments to the goals I set at the beginning of this year. I’m particularly concerned about the quantity of books that I pledged to read. During the first quarter of 2010, for example, I’ve only read two books. My commitment to several writing projects requires that I sacrifice the time I would normally spend reading. It’s not that I’ve abandoned literature. Rather, I’m in the final stages of my sentence and I must channel my time into projects that relate directly to my career upon release. For many years I’ve written about my aspirations to build a career that would allow me to write, teach, and consult. The best preparations I can make for that career compel me to gather content. Every prisoner with whom I serve time has a story that I can use to teach others. I spend many hours every week interviewing other prisoners, and I write their stories in the early morning hours between 1 and 6 a.m. When I’m between interviews, I gather more content from reading through case law books. Those books offer a wealth of information. The more I read, the more versed I become in the types of behavior that can lead people to prison. The case books interest me, but I also educate myself by reading the criminal code books and the code of federal regulations. Even the Bureau of Prisons policy statements interest me. The more I read about this system, the better prepared I feel to teach others. All of the content I collect provides documentation that will help me illustrate the complexities of America’s criminal justice system. But the work means more than explaining it. I aspire to help people live more fulfilling lives, and the lessons I’ve learned coupled with all that I gather from books or researching others will prove useful. I look forward to continuing this work in the months that I have remaining to serve. The efforts will assure that I have a full schedule upon my release, as I will package all that I have learned and prepare it for the national market that I will create. In previous quarterly reports I wrote in more detail about my activities and my plans for the upcoming quarter. Yet in these 10 remaining quarters that I’m scheduled to serve, I may not write with as much clarity. It’s not that I want to shield my activities, but the writing projects take most of my time. 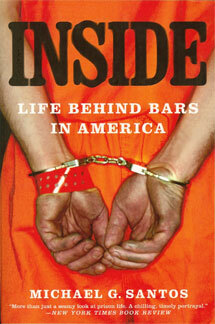 I have to be conscious about prison rules and the business of writing. Some staff members in the prison system object to my continuous writing. I will not publish again until my release, but to avoid conflict—or to minimize the possibility for conflict—I will not elaborate with too much detail on my work. It keeps me busy, and once I’m free from the grips of the prison system, I’ll publish and write more freely. Suffice it to say that I invest more than 60 hours each week working toward the success I expect to realize upon release. Besides gathering content that will assist my career, I’ve been more active with my contributions to the Taft Camp community. Each week I participate in the Taft Toastmasters Club, I attend the youth outreach program to help at-risk adolescents make more responsible decisions, and I spend time mentoring other prisoners. My days remain full and productive. I remain fully committed to daily exercise. Maintaining an excellent level of physical fitness remains a top priority for me. To that end, I have continued a daily running and strength training routine without a day of rest since December of 2008, and God willing, I intend to continue exercising every day until the day of my release. In the first quarter of 2010 I’ve run 807 miles, which beats my record of running 788 miles during the first quarter of 2009. Besides the running, so far in 2010 I’ve done 32,900 pushups. I’m feeling fit at 170 pounds, which was the same weight I had when I began serving my term in 1987. Despite a high level of fitness I was reminded of how no one can take life for granted. Andrew Altchek was a friend of mine at Taft Camp, and despite his commitment to many years of daily exercise, he passed away unexpectedly on 21 March 2010. I have known many prisoners who have died while serving time, and I’m always saddened that they were unable to rejoin their family members. Andrew was someone I knew well, as we worked side-by-side for more than two years and sometimes exercised together. I’ll miss his company. In the months to come I will remain active in Taft Camp, primarily with writing projects. I expect to finish writing three manuscripts before the end of this year, each of which will contribute to my successful adjustment and return to society. I’ve been in prison for 23 years so far, and a wise friend I’ve made from India said that since I’ve been away from society for 23 years, I must work 23 times harder than the average American. That level of productivity, he assures me, would help me catch up. But if I work 24 times harder, I can move ahead. Since I intend to move ahead, I had better return to my work.